Our business experts backed by state-of-the-art technology analyze specific client needs. The software solutions that emerge from the analysis are efficient and flexible and can adapt to the needs of the ever-dynamic marketplace. 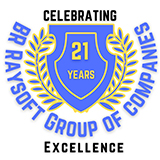 BR Raysoft integrates people, processes and technology to deliver innovative solutions. We have team of technical personnel who can come together and work on need based developments. We have expertise in training technical personnel in niche skill such as Hyperion Essbase, Informatica, Data Stage, Genesys CTI, etc. Also we undertake customized soft skill training; this is carried out the in areas such as HRD, Organization development and strategic planning. It also provides the customized management training programs..